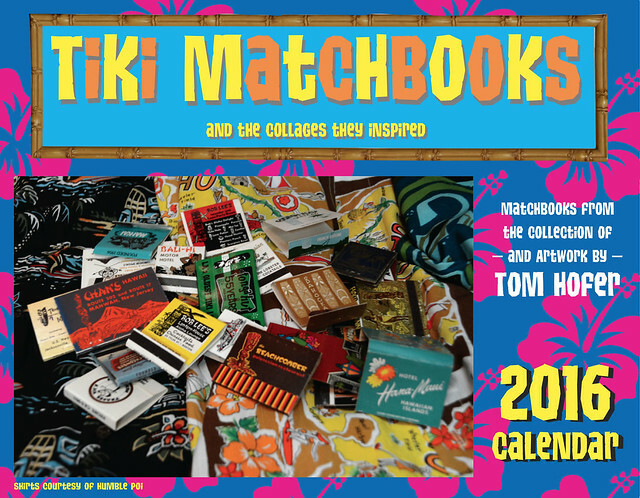 Get a head start on your holiday shopping with this year’s round-up of some of the best tiki-related goodies from 2014, including books, bitters and more. Bamboo Ben has created the escapist settings for many tiki bars, such as Frankie’s Tiki Room in Las Vegas and Tiki No in North Hollywood, to name a few. 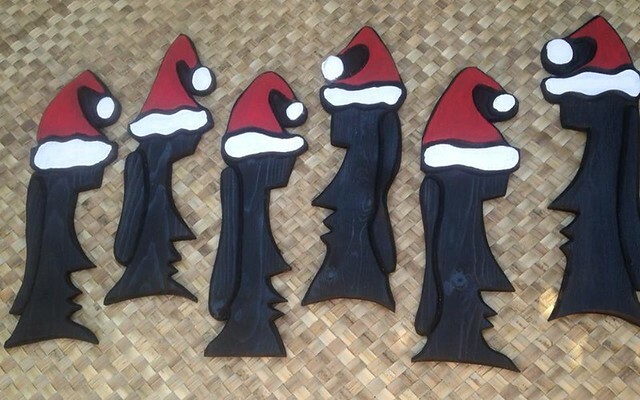 For Christmas, he’s gotten into the festive spirit by making SanTiki Moai masks ($25, plus shipping) and also some Shrunken Grinch Heads. I hear there will be some for sale at his booth at the International Tiki Market Place at Don the Beachcomber in Huntington Beach on December 6th, but you can also contact him via Facebook about ordering. Now this is some Black Friday shopping I’m on board with! 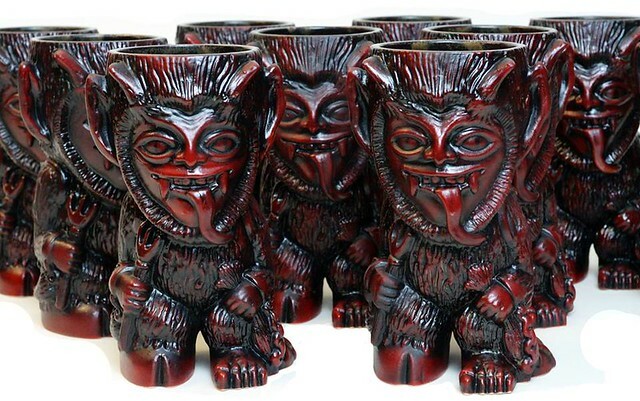 On November 28th, Munktiki will release the fourth and final glaze of this year’s Krampus mug. (Pictured is the red and black style sold earlier.) This terrifying creature from Bavarian folklore punishes naughty children during the Yuletide season. 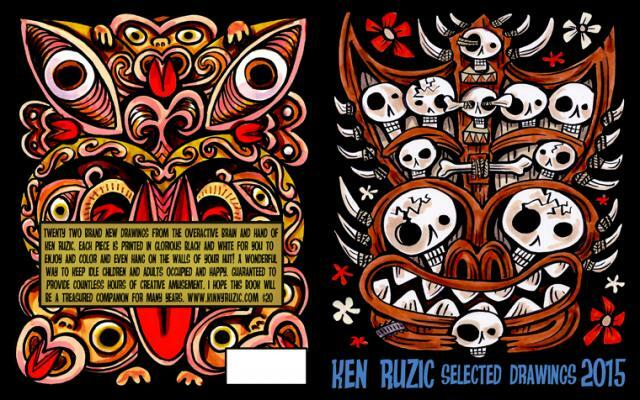 There are 25 of these super limited editions ($80) and they’ll be available for purchase on Munktiki’s web site at 6 p.m. PST. 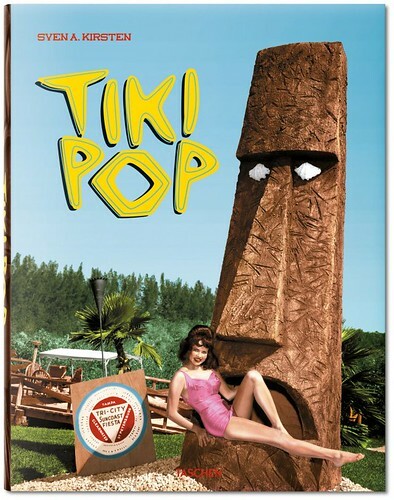 As mentioned previously, this year author Sven Kirsten (The Book of Tiki/Tiki Modern) and Taschen published a new tome, Tiki Pop: America Imagines its own Polynesian Paradise ($40). It’s the companion book from the recent exhibition at the Musée du quai Branly in Paris. Make sure you have a sturdy coffee table to support this hefty edition filled with incredible images and fascinating history. 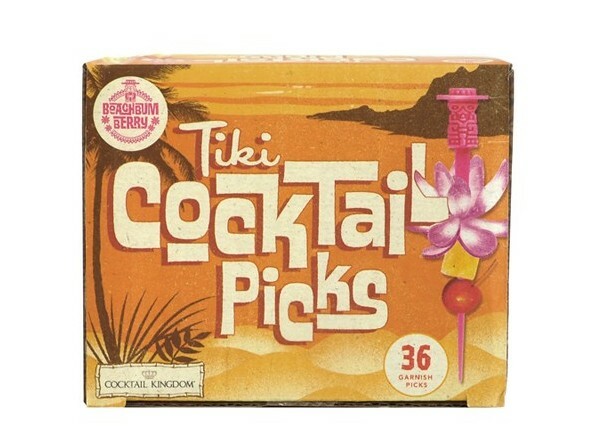 Also of interest to tiki fans will be the book Kahiki Supper Club: A Polynesian Paradise in Columbus ($16) by David Meyers, Elise Meyers Walker, Jeff Chenault and Doug Motz. Many of us never got the chance to visit that Ohio oasis before it was bulldozed in 2000, so this is as close as we’ll get, alas. Horror in Clay — who you may know from the Cthulhu mug Kickstarter success story — has followed up with a few neat new products this year, including the Innsmouth Fogcutter Tiki Mug ($40) and Horror Infused: Fiendishly Tropical Bitters ($13.13). 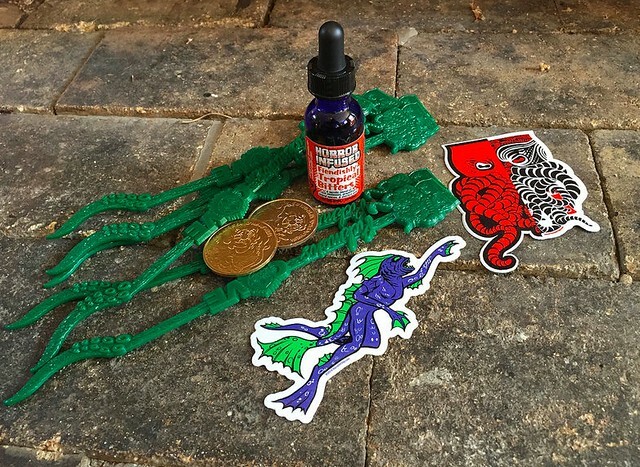 Made in partnership with Bittercube Bitters (the gentlemen also responsible for the Torpedo Room in Minneapolis), these are small-batch cocktail bitters “tentacle-crafted with care” featuring flavors of molasses, grapefruit, allspice, cinnamon and vanilla. 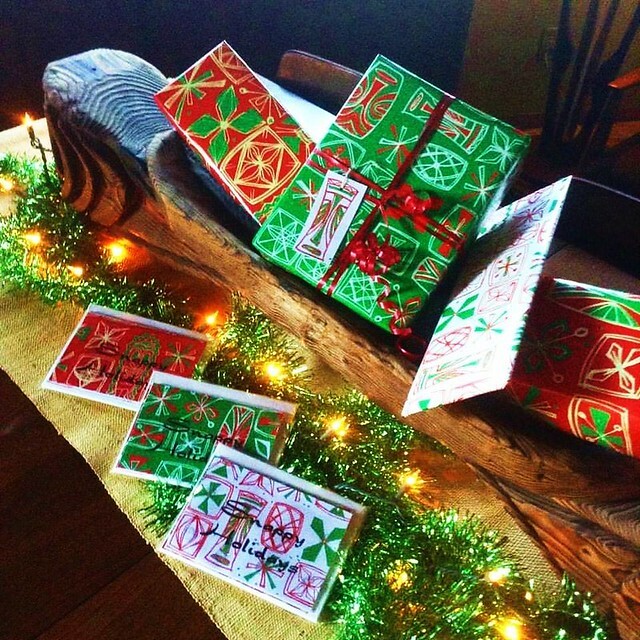 They even come in a gift set ($20) with stickers, swizzles and coins. When you need a respite from carols, mix things up with some Gene Rains, the vibraphonist considered one of the “Big Three” of exotica music in the 1950s-60s along with Martin Denny and Arthur Lyman. His music had never been available on CD until this past July when Real Gone Music released “Far Away Lands: The Exotic Music of Gene Rains” ($15), which includes songs from his three albums. (Check out episode 68 of DigiTiki’s Quiet Village Podcast to hear some of the interesting stories behind the making of this compilation.) Featured on the cover art is the lovely MeduSirena the Fire-Eating Mermaid (in her human form) from the Wreck Bar in Fort Lauderdale. 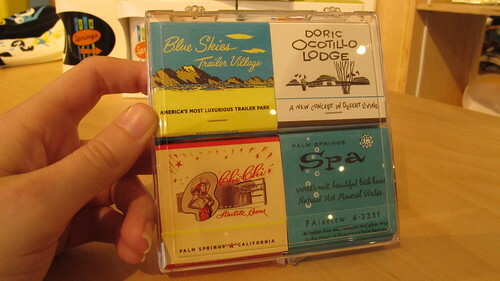 (Editor’s Note: Raymond Lawrence Palm Springs has since closed.) 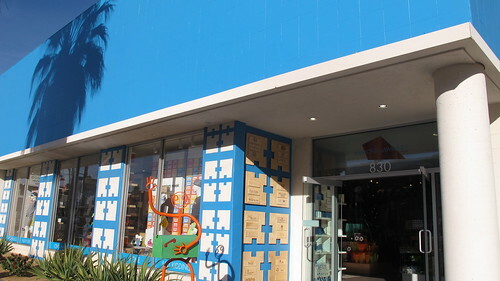 During Palm Springs Modernism Week we spent most of our time attending lectures, film screenings and walking tours — not to mention imbibing at Tonga Hut Palm Springs — but we did manage to make some time shop in the Uptown Design District on North Palm Canyon Drive. This area is home to vintage stores (like Dazzles), designer boutiques (Trina Turk), art galleries (Shag: The Store) and more. One place we discovered this time around was Raymond | Lawrence, which hosts dozens of different pop-up shops all under one roof. 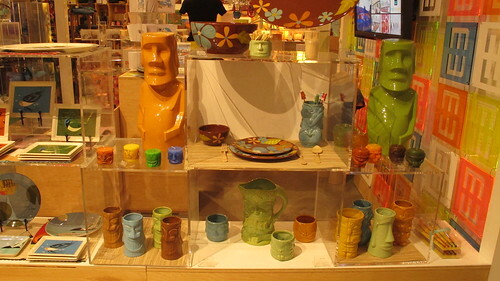 There’s a wide range of interesting wares, from souvenirs to clothes to home decor to art. I love this concept! 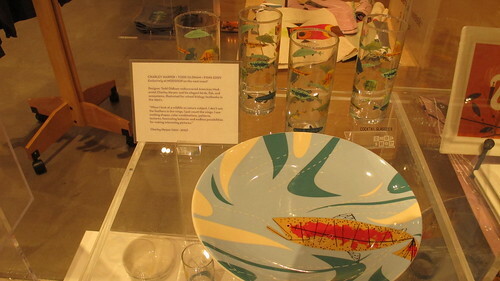 A few years ago, designer Todd Oldham collaborated with dinnerware company Fishs Eddy on a series of dishes and glasses featuring the wildlife-inspired art of Charley Harper. 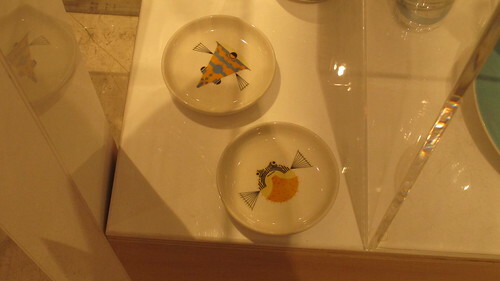 Of course, I was drawn to this pufferfish sauce dish. (Perhaps you’ve noticed a theme around here.) These are just a few of the retail temptations to be found at Raymond | Lawrence. I can tell this will be another spot we return to again and again to see what’s new. 830 N. Palm Canyon Dr.